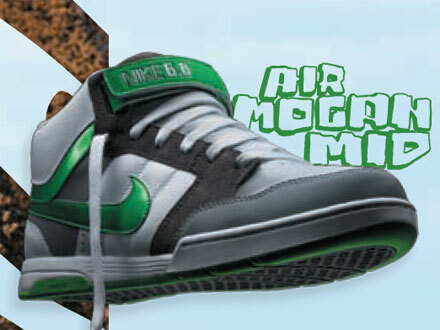 Nike 6.0 has always been seen as an alternative to SB for the kids and/or the non-sneakerheads. But that has changed since Danny Kass signed to Nike (the coming snowboard boots range) and have been seen sporting the Mavrk. The Nike 6.0 are for chilling as well as for sporting. Now Nike 6.0 just released the product catalogue for S/S 08. Just download the pdf and check it out. The shoes will be avaivable from april. And since it`s a no SB-show the shoes are both cheap and easy to get. hola.donde podria conseguir unas zapatillasadiel mismo modelo? Hi.. i want to buy them.. but where?? i from brazil, and i see these shoes, but they not have my number..
that’s what I can think of hope it helps…. They look pretty nice ! How much is it? Where can i buy it? i love THIS shoes…but i don’t get them in that colour…did anyone know where i can buy them? hola como hago para comprar las mismas? ?